These GF Peanut Butter Muffins have a definite peanut butter taste. They are moist and very tasty. You can eat them alone or with you favorite jam. I transformed a wheat recipe for peanut butter bread into this GF muffin recipe. The batter came out very thick. It did not spread and smooth out during baking, but stayed as I had scooped it out into the paper liners. If you like the lumpy top look you can just leave them as they scoop out, but if you like a smooth top I would suggest smoothing out the tops with wet hands before baking. 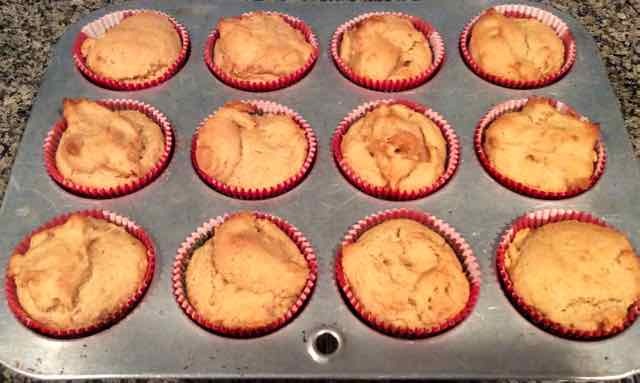 If you are artistic you could make some designs or shapes with the batter on top of the muffins. 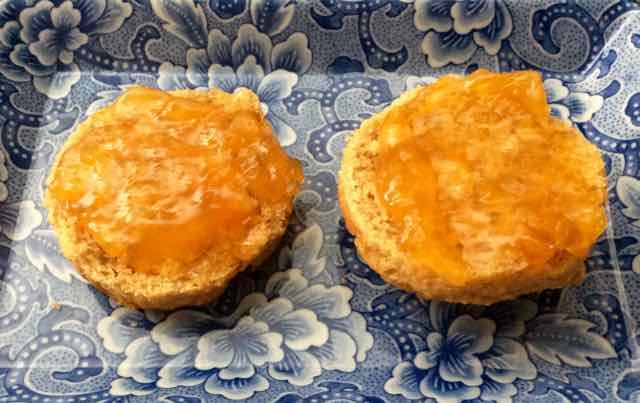 The muffins are not too sweet and very satisfying. If you like peanut butter you will love these! Enjoy! 1) Preheat the oven to 375℉. Prepare two muffin tins by lining them with 17 paper cupcake liners. 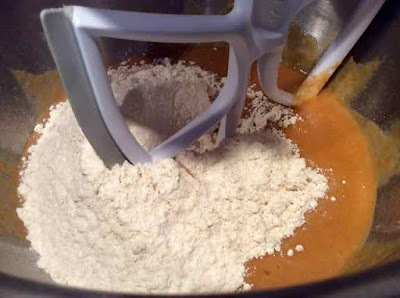 2) In a medium bowl add the flours, xanthan gum and baking powder and mix together well. Set aside. 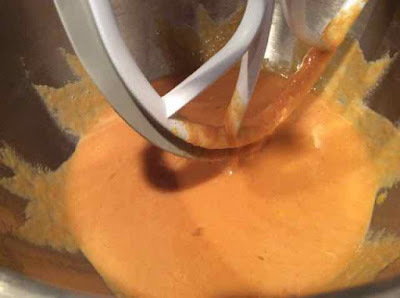 3) In the bowl of a stand mixer add the peanut butter, salt, sugar & milk and mix until well combined and smooth. Peanut butter, salt, sugar and milk mixed together. 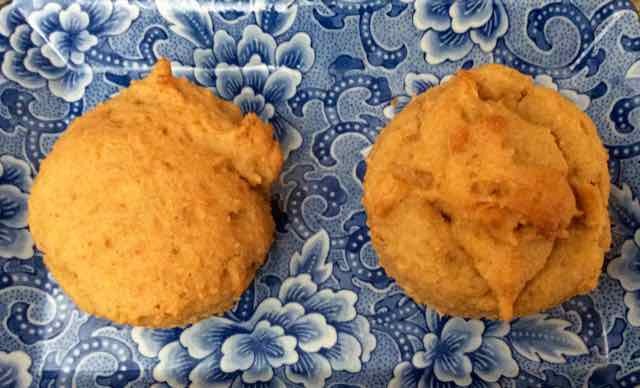 4) All at once add the flour mixture and mix until the batter is smooth. All of the flour added to the peanut butter mixture. Batter after mixing until smooth. 5) Scoop out the batter into the paper liners. They should be about ¾ full. 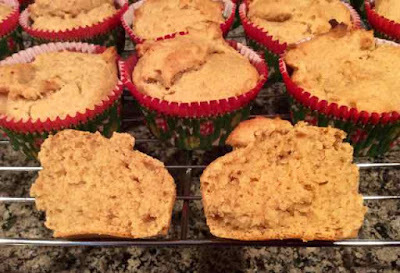 If you prefer smooth even tops, smooth out the tops of the muffins using wet hands. The batter is thick and will pretty much remain in whatever shape it lands. You could have fun with it and make some designs on top if you are creative. Raw batter scooped out into the paper liners. 6) Bake in the preheated oven for about 20 minutes or until the center springs back when lightly pressed with a finger. Peanut Butter Muffins after baking. Note that the batter stayed in the same shape as it was scooped out. 7) Place on racks to cool. Serve warm or at room temperature. The first two days they are fine as they are, but after that they are better warmed up before eating. These can be frozen for longer storage. Just thaw at room temperature for 30 minutes and/or heat them up before serving. The inside of a muffin. It is just like a peanut butter and jelly sandwich. 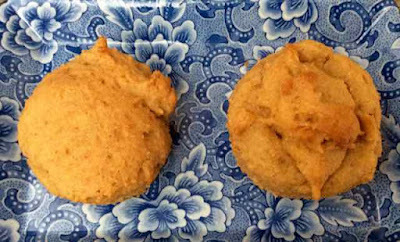 GLUTEN FREE DAIRY FREE PEANUT BUTTER MUFFINS Makes about 17 GlutenFreeBakingBear.com 1 cup Sorghum Flour ½ cup Tapioca Flour ¼ cup Chickpea Flour ¼ cup Coconut Flour ¾ tsp. Xanthan Gum 4 tsp. 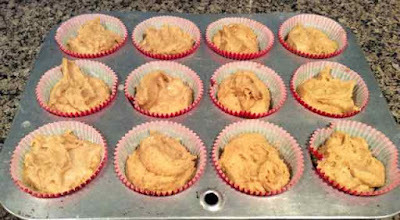 Baking Powder 1 cup Peanut Butter - I used smooth with only peanuts as an ingredient & no salt 1 cup Milk of Choice - I used almond (If you use regular milk the recipe will not be dairy free.) 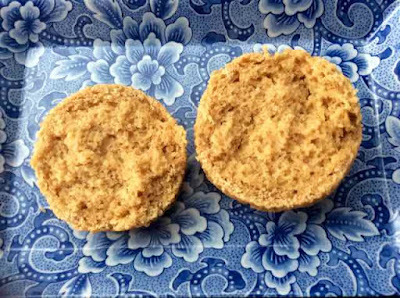 ½ cup Sugar - I used evaporated cane juice ½ tsp. Himalayan Sea Salt INGREDIENTS DIRECTIONS 1) Preheat the oven to 375℉. Prepare two muffin tins by lining them with 17 paper cupcake liners. 2) In a medium bowl add the flours, xanthan gum and baking powder and mix together well. Set aside. 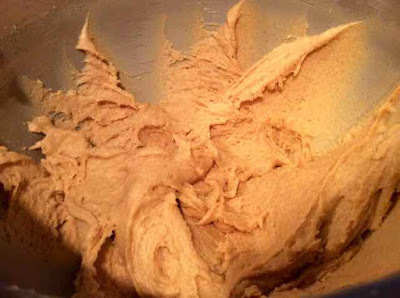 3) In the bowl of a stand mixer add the peanut butter, salt, sugar & milk and mix until well combined and smooth. 4) All at once add the flour mixture and mix until the batter is smooth. 5) Scoop out the batter into the paper liners. They should be about ¾ full. If you prefer smooth even tops, smooth out the tops of the muffins using wet hands. The batter is thick and will pretty much remain in whatever shape it lands. You could have fun with it and make some designs on top if you are creative. 6) Bake in the preheated oven for about 20 minutes or until the center springs back when lightly pressed with a finger. 7) Place on racks to cool. Serve warm or at room temperature. The first two days they are fine as they are, but after that they are better warmed up before eating. These can be frozen for longer storage. Just thaw at room temperature for 30 minutes and/or heat them up before serving.